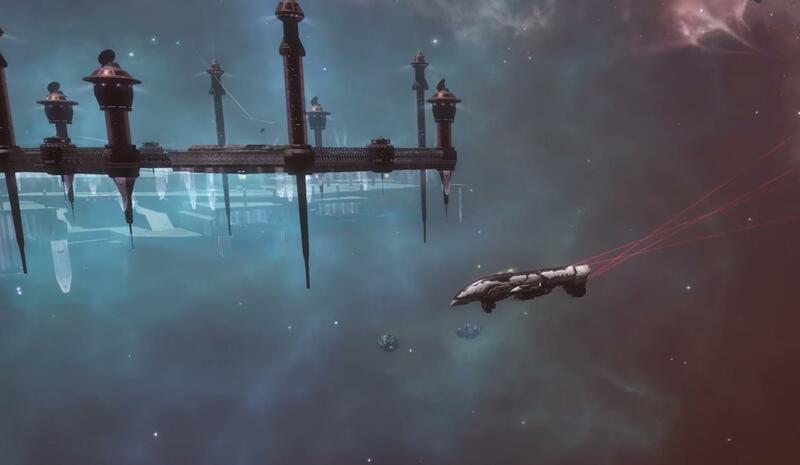 EVE Pulse is back with more happenings from EVE Online. The Guardian’s Gala in-game event is featured, as well as ticket info for the EVE World Tour and details on the February release. There’s also info on recent contest prizes, EVE Speedruns and more! Hiya, I am really glad I have found this information. Nowadays bloggers publish only about gossip and internet stuff and this is really annoying. A good website with exciting content, that’s what I need. Thanks for making this web site, and I will be visiting again. Do you do newsletters by email? I truly wanted to write down a quick note so as to express gratitude to you for all of the marvelous recommendations you are giving out here. My prolonged internet look up has finally been rewarded with brilliant know-how to exchange with my close friends. I ‘d assert that we visitors are quite lucky to dwell in a fine community with many brilliant professionals with very beneficial hints. I feel pretty grateful to have encountered your webpage and look forward to tons of more amazing minutes reading here. Thank you once more for everything. Hi there. I discovered your site via Google whilst searching for a related matter, your website came up. It appears to be great. I have bookmarked it in my google bookmarks to visit then. Hiya, I’m really glad I have found this info. Nowadays bloggers publish just about gossip and net stuff and this is really irritating. A good blog with interesting content, this is what I need. Thanks for making this web-site, and I’ll be visiting again. Do you do newsletters by email? Hiya, I’m really glad I have found this info. Nowadays bloggers publish just about gossip and internet stuff and this is actually frustrating. A good blog with exciting content, this is what I need. Thank you for making this site, and I’ll be visiting again. Do you do newsletters by email? Hello there. I found your website by means of Google at the same time as looking for a related topic, your website came up. It seems to be good. I have bookmarked it in my google bookmarks to visit then. Hiya, I’m really glad I have found this information. Nowadays bloggers publish just about gossip and internet stuff and this is actually annoying. A good web site with exciting content, that’s what I need. Thank you for making this site, and I’ll be visiting again. Do you do newsletters by email? Hiya, I’m really glad I have found this information. Today bloggers publish only about gossip and internet stuff and this is really frustrating. A good blog with interesting content, this is what I need. Thank you for making this website, and I’ll be visiting again. Do you do newsletters by email? Hiya, I’m really glad I’ve found this information. Nowadays bloggers publish only about gossip and web stuff and this is actually annoying. A good website with exciting content, this is what I need. Thank you for making this site, and I will be visiting again. Do you do newsletters by email? Hi there. I found your web site by way of Google whilst searching for a comparable matter, your web site came up. It appears to be good. I have bookmarked it in my google bookmarks to come back then. Hello there. I discovered your website by the use of Google while searching for a related topic, your site got here up. It appears to be good. I have bookmarked it in my google bookmarks to visit then. Hello there. I found your website by way of Google at the same time as looking for a related matter, your web site got here up. It appears to be good. I’ve bookmarked it in my google bookmarks to visit then. I just wanted to write a quick message to be able to say thanks to you for all of the pleasant concepts you are sharing on this website. My considerable internet investigation has at the end been rewarded with awesome points to go over with my pals. I ‘d say that many of us visitors actually are undeniably endowed to be in a remarkable community with so many wonderful people with very helpful points. I feel really lucky to have discovered the web pages and look forward to really more fun minutes reading here. Thank you again for everything. Hello there. I discovered your site by means of Google while looking for a similar matter, your site got here up. It seems great. I’ve bookmarked it in my google bookmarks to visit then. Hiya, I’m really glad I have found this information. Today bloggers publish just about gossip and net stuff and this is actually frustrating. A good site with exciting content, this is what I need. Thanks for making this web site, and I will be visiting again. Do you do newsletters by email? It is truly a nice and useful piece of information. I am glad that you shared this helpful info with us. Please stay us up to date like this. Thank you for sharing. I have been exploring for a bit for any high quality articles or weblog posts on this kind of area . Exploring in Yahoo I finally stumbled upon this website. Reading this info So i am glad to express that I’ve a very good uncanny feeling I found out exactly what I needed. I most definitely will make sure to don’t disregard this website and provides it a look on a relentless basis. Hiya, I am really glad I’ve found this information. Today bloggers publish just about gossip and web stuff and this is really annoying. A good website with interesting content, that is what I need. Thank you for making this website, and I’ll be visiting again. Do you do newsletters by email? Leave a Reply to entertainment news Click here to cancel reply.